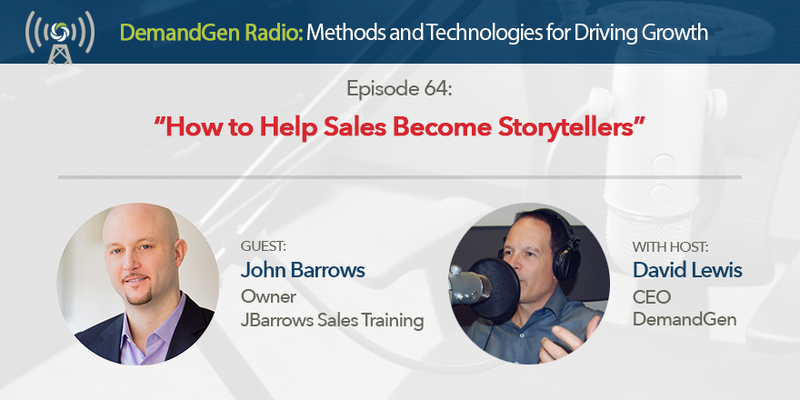 John Barrows and I pick up where we left off on Episode 59 to discuss “Context –vs- Content.” More than ever, sales and marketing must be better aligned to drive growth together. Marketing is publishing content, and sales is a channel to deliver that content to prospects and customers. However, marketing traditionally has not spent much time teaching sales how to become storytellers. Even worse, so much of the content produced by marketing is not what I call “storyteller ready.” In this episode, John and I give some practical advice that will help sales and marketing become more collaborative, better aligned, and even more empathetic to their respective roles. Empathy creates trust and let’s face it, there’s often not enough of that between sales and marketing. Let’s fix that.